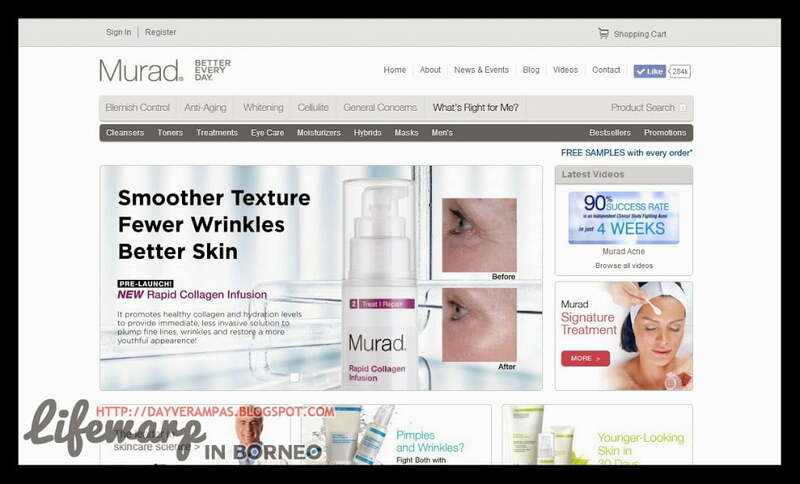 Like their Murad Malaysia Facebook page. Answer a simple question. You have to complete this sentence: I want the Age Reform Starter Kit because….. Write this on their comment box here. 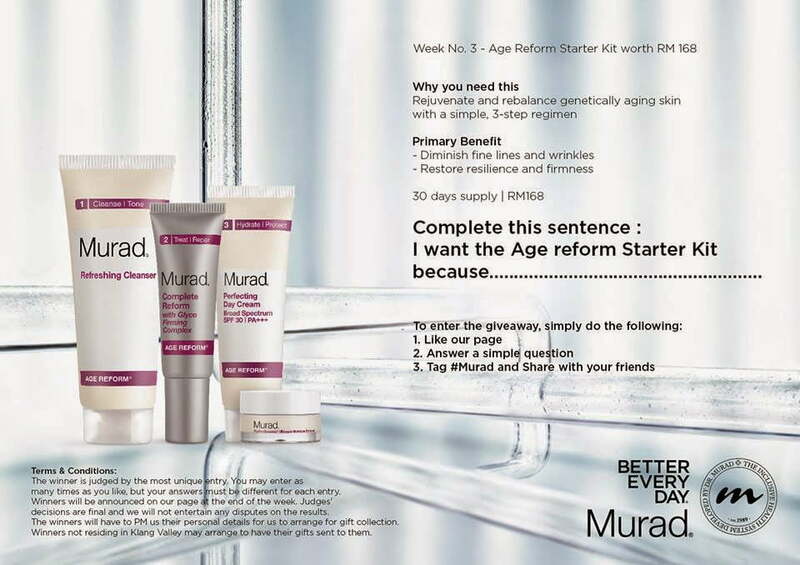 Tag #Murad in your post, and share with your friends on your Facebook. You may enter the giveaway contest as many times as you want to but the judges would only select the winner by the most unique ‘sentence’. This giveaway contest is open to all residents in Malaysia only. Winners who are not residing in Klang Valley will have to arrange with their representative for the delivery of the gifts. Try your luck today.